Britain will be paying off obligations to Brussels for years after Brexit, remain subject to EU courts and go on letting relatives of European immigrants settle in the UK, draft EU negotiating documents show. ReutersEuropean Commission President Jean-Claude Juncker will meet Prime Minister Theresa May in London next Wednesday to discuss Britain's exit from the European Union, a Commission spokeswoman said on Thursday. ReutersBritain will lose more than the European Union from its decision to leave the bloc, the EU's top diplomat said on Thursday, and talks with London were expected to be difficult. What happened this week in the UK's Brexit negotiations? Catch up on all the latest in our weekly briefing. The president of the European Commission believes that "real talks" between the European Union and Britain on Brexit will only start after British snap elections called for June 8, an EU spokesman said on Wednesday. A Commission spokesman said that the EU's chief executive Jean-Claude Juncker and British Prime Minister Theresa May had a phone call on Tuesday evening, following May's call for early elections in June. "Following their conversation, the president considers that the real political negotiations on Article 50 with the United Kingdom will start after the elections foreseen for the 8th of June," the spokesman said, referring to EU treaty rule that regulates the exit of a member state from the bloc. ReutersA planned early election inBritain, announced by Prime Minister Theresa May on Tuesday,will not delay negotiations on its withdrawal from the EuropeanUnion, German Chancellor Angela Merkel's government said onWednesday. ReutersBritain should continue toparticipate in the European Union's energy market when it leavesthe 28-nation bloc, energy minister Greg Clark told aparliamentary committee on Wednesday. ReutersBritish Prime Minister Theresa May said on Wednesday that holding an early election on June 8 rather than waiting until 2020 would avert a situation where she would face a crunch time in EU talks and a domestic election at the same time. Britain should continue to participate in the European Union's internal energy market when it leaves the 28-nation bloc, the UK's Secretary of State for Business, Energy and Industrial Strategy Greg Clark told a parliamentary committee on Wednesday. "I think it would be better if we continue (in it) and a bad thing if that were to be disrupted," he added. ReutersEuropean Union negotiators hope Theresa May's snap election can produce a strong prime minister with a clear popular mandate to hammer out the terms of Britain's withdrawal from the bloc, an EU official said on Tuesday. ReutersGerman Foreign Minister Sigmar Gabriel said he hoped early elections called by British Prime Minister Theresa May would lead to more "clarity and accountability" in Britain's negotiations with the European Union about its exit from the bloc. The leaders of the Netherlands, Denmark and Ireland are to hold a meeting to discuss Britain's exit from the European Union on Friday, the Irish government said, in a sign the three pro-trade powers plan to coordinate their strategy on Brexit. The 27 EU members that will remain after Britain leaves have repeatedly pledged to maintain a united front in negotiations with Britain and avoid divisions that could be exploited by London. 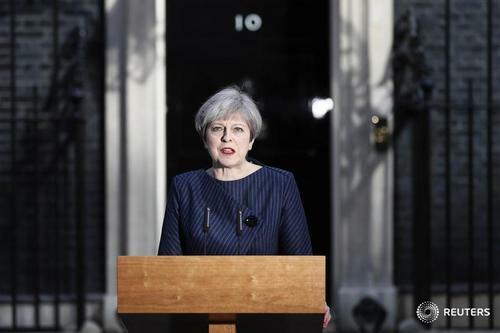 British Prime Minister Theresa May called on Tuesday for an early election on June 8, saying the government had the right plan for negotiating the terms of Britain's exit from the European Union and she needed political unity in London. "I have just chaired a meeting of the cabinet where we agreed that the government should call a General Election to be held on the 8th of June," May said. 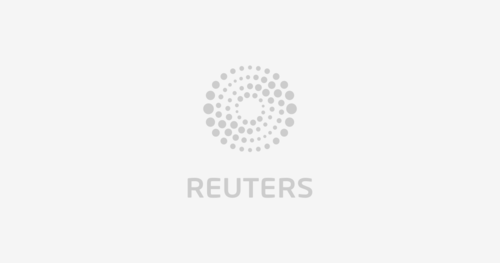 Reuters UKAccess to European Union markets and people after Britain leaves the bloc is essential for maintaining healthy competition in financial services, the country's markets watchdog said on Tuesday. The future location of the two European Union agencies based in London will be a matter for Brexit negotiations, the British government's Brexit department said on Monday, but EU officials said there was no doubt they would be moved. House prices in central London saw their most widespread declines since 2009 as Brexit uncertainties and high transaction costs dented demand for high-end property in the British capital, a survey showed on Thursday. Was Brexit referendum website hacked? Reuters UKThe European Union should tell London to cut red tape that makes it hard for EU expats to confirm their residence in Britain, senior EU officials said after a meeting in Brussels on Tuesday to prepare for Brexit talks. Reuters UKHouse prices in central London saw their most widespread declines since 2009 as Brexit uncertainties and high transaction costs dented demand for high-end property in the British capital, a survey showed on Thursday. 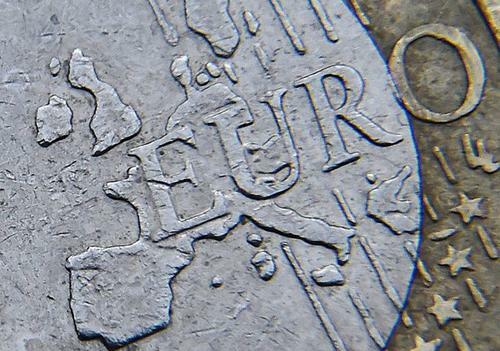 Reuters UKThe euro zone's greatest existential threat may no longer center on small, peripheral countries such as Greece and Portugal dragging it down, but instead on the prospect that its third largest economy, Italy, could abandon ship. The introduction of physical customs checks following Brexit would be a catastrophe for British ports and shipping and would likely reduce the volume of trade, the head of the sector's UK industry body said on Wednesday. Reuters UKMoney transfer company Transferwise, one of the biggest fintech firms in Europe, will move its European headquarters from London to mainland Europe by March 2019 in order to keep access to the single market after Brexit, its CEO said on Wednesay. A website which allowed Britons to register to vote in last year's European Union referendum might have been targeted by foreign hackers causing it to crash before the deadline, a committee of British lawmakers said on Wednesday. The London Stock Exchange is targeting more listings from companies in the Middle East, following a dearth of initial public offerings in the aftermath of Britain's vote to leave the European Union. ReutersInvestment banks in London have beenhiring more staff for specialised finance roles, recruiterRobert Walters said on Tuesday, in comments likely toease concerns over the impact of Brexit on a mainstay of theBritish economy. The European Union will focus on infrastructure, green and risk finance to boost funding for the economy, a European Commission vice president said on Tuesday, noting Britain's departure could deprive the EU of its largest financial center. Reuters UKAn acrimonious Brexit, in which Britain declines to honour its existing financial obligations could put pressure on the European Union's 'double A' rating, S&P Global said on Monday. Britain's financial technology sector has recovered from an initial dip after Britain's vote to leave the European Union, a senior UK regulator said on Monday.